If you are seeking a great place to stay in Iceland, then consider the Hotel Hvolsvollur. This three star hotel features a first class restaurant, where guests can enjoy a nice meal in a first class atmosphere. There is a bar, where guests can drink a cocktail, meet with friends, or just relax. The hotel also has conference and meeting facilities for up to 200 people. Other amenities include a banqueting service, two Jacuzzis, and wireless Internet access. 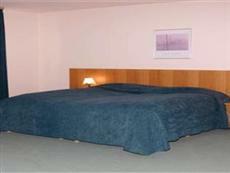 The hotel is located in Hvolsvollur, just an hour’s drive away from the major city of Reykjavik. There are many things to see and do in Iceland’s capitol. You can visit a number of main tourist sights, including the Alþingishusið, which is the Icelandic Parliament, the National Centre for Cultural Heritage, Blue Lagoon, a geothermal spa nearby, or Hallgrimskirkja, which is the largest church in Iceland. Reykjavik is also known for having a very fun nightlife. There are many bars and clubs, open into the wee hours, where you can drink, visit with friends, and dance the night away. If heading into the big city isn’t your cup of tea, you have the option of hanging out in Hvolsvollur. It is a peaceful and quiet area, with a lot of recreational activities nearby. The scenery here is unbelievably beautiful, with Mt. Hekla nearby, as well as lowlands, geothermal pools, glaciers, volcanoes, and green pastures. It is possible to hike, bike, camp, and fish in the area, if you are seeking a real outdoor vacation. Golf and swimming are other options.